I am a lover of tea. Always been a tea girl. I’m obsessed with it. Coffee is only a recent love. But I came to learn that it can be an acquired taste. And straight up, I’ve come to acquire it. LOL. Yes, I love coffee now, but that is a different story for a different time. My love for tea predated my love for coffee, and it still holds today. 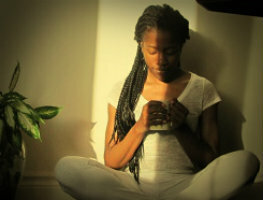 From a young age I was sipping tea in the mornings. Being a child of Jamaican parents didn’t allow for anything except for me to love tea. Honestly, ask anyone from a Jamaican household what their parents said if they had any ache..
Or. Maybe you had a stomach ache. Yuh si? Yuh nah drink tea a mawnin’, gas tek yuh. Drink some tea man. In Jamaica, teas are not limited to just what’s made from steeping tea leaves in hot water. No, no. There are so many different types of bushes or herbs that we use to make a tea. Here in Canada, with what you get at the grocery store or where ever are generally made from one type of plant. Camellia Sinensis a.k.a. the tea plant. It’s just processed in different ways to get the basic types of teas we all know of. 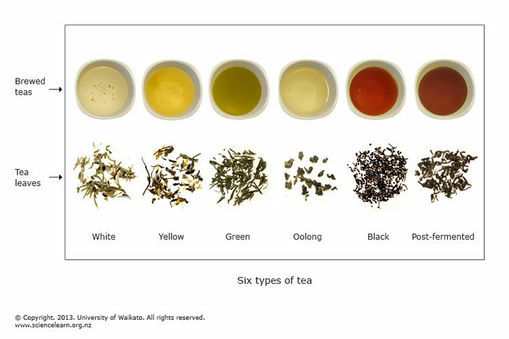 White tea, Black tea, Green tea, etc. 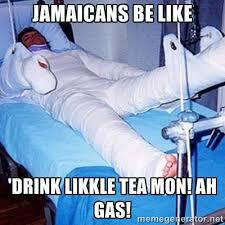 But in Jamaica…basically everything can be made into a tea, which is pretty awesome and a wide topic on it’s own. I’ve spoken to family members who still live there and they’ve told me of tons of bushes for tea and what kind of ailment the tea would help with or cure. Interesting stuff for a nerd like me, but I digress. And then as I grew up, the world of tea was opened even further to me when I learned about the tea shops. You know, those specialty ones. The chain franchises as well as the mom and pop type. Ohh, I thought I knew and loved tea as much as I ever would or could. But I was wrong. Ever walked through one of these tea shops? The smells alone are enough to get me. And usually, an employee will come up and ask you if you’re looking for anything special. Then the fun starts, cause they usually know their stuff and can introduce you to tastes and smells you didn’t know were possible (had a “FuzzyPeach [you know that candy?] flavored tea once). Get you educated in tea science. I love that. Most people know that some teas have some pretty cool health benefits. But which ones are which and does tea have an actual effect on health? Well. Let’s start with the basics. I’m just going to scratch the surface and talk about the teas made with Camellia Sinensis. And this is thanks to a couple of compounds found in tea. Notably Polyphenols (specifically, flavenoids) which is a type of antioxidant which fights the free radicals associated with cancer and heart disease (take a look at this post which talks about the beneficial phenol in wine). Tea is also nearly calorie free, so it’s a good way to hydrate if you’re not very good at drinking a lot of water (like myself, once upon a time). The small amount of Caffeine in tea helps with mental alertness and the Theanine, which interestingly enough is only found in tea promotes relaxation as well as concentration. What more could a med student want? So we’ve now figured that basically tea is a very low calorie way to help you fight illness, keep you in shape and assist with alertness (that is not likely to potentially get you super jumped up like our friends, coffee and the energy drinks out there) as well as concentration. It should be noted that like all good things, there are limits. I’m talking about the way you take your tea. These benefits are only as good as what you add to the tea. This means, tons and tons of sugar or adding milk, changes things a bit of course (just like with coffee, which also has healthy benefits). The best way to keep it healthy is to take the tea plain. Nothing added. Might sound crazy, but it’s not so bad. Like my coffee, this was acquired for me.